Two professional football players were arrested on trespassing (as well as other charges) by police officers in Fort Lauderdale, Florida and Minneapolis. Derrick Shelby, defensive end for the Miami Dolphins and Tom Johnson, tackle for the Minnesota Vikings were the players involved and their arrests couldn’t come at a worse time for the National Football League, which is already under nationwide scrutiny after the domestic violence incidents involving one of its players and the child abuse charges involving another. Shelby, 25, was charged for trespassing in Fort Lauderdale. He was also charged with resisting arrest without violence after an incident at a local nightclub, according to police. Detective DeAnna Greenlaw explains that police had received reports about Shelby causing alleged disturbances on Saturday at a night club around 2 AM. 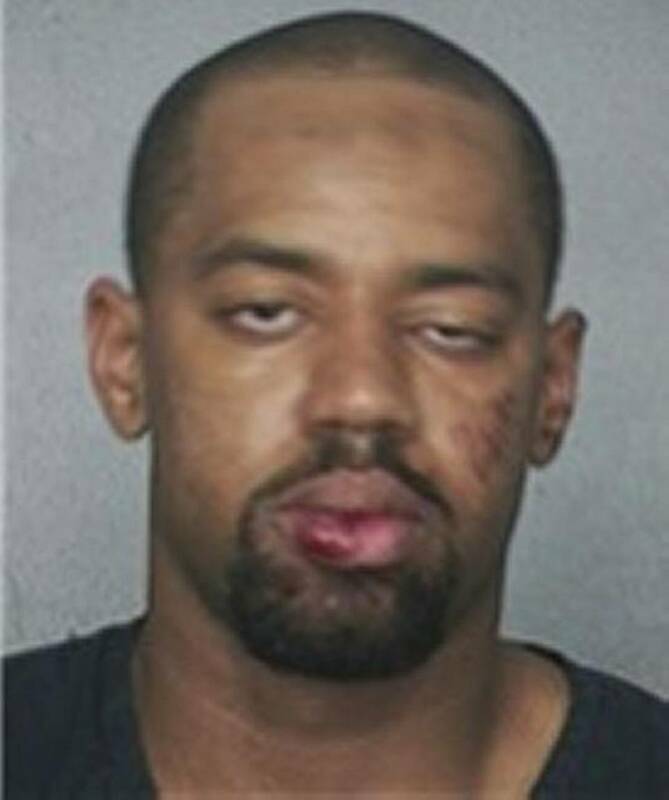 His booking photograph show the third-year Dolphins player with bruises on his face, lower lip as well as cheeks. Daniel Rosenberg, Shelby’s attorney told reporters that the player maintains his innocence and said that a lot of conflicting information about the arrest of the defensive end must be analyzed first. The Miami Dolphins are also aware of the reports about their player and said in a brief statement that they were also gathering information. In the meantime, in Minneapolis, Johnson was arrested on early Sunday for trespassing and disorderly conduct, as online jail records reflect. No additional details were available, but Johnson was able to post bail and is now awaiting his court date scheduled for the 17th of October, records from Hennepin County show. The Vikings were also aware of the entire situation, a spokesman said in an email. the Vikings spokesman said in his email. These arrests occurred just a few weeks after the Ray Rice scandal, where the website TMZ uploaded a video filmed inside a New Jersey casino where the former Baltimore Ravens running back is shown punching his fiancée (turned wife). She is knocked cold for several minutes, as Ray Rice attempts to drag her unconscious body out of the elevator. This wasn’t a singular event, as the running back had also appeared in a different video depicting similar events in another casino. The NFL has offered uneven responses until now, initially giving Rice a suspension over the incident, then suspending him indefinitely, responses which raised questions about the credibility of the NFL Commissioner Roger Goodell.